Aaron Ramsey will join Juventus next summer on a four-year contract worth €28 million, the Serie A club announced on Monday. Both Ramsey and his current employers Arsenal also confirmed the news of his departure from the club. Arsenal midfielder Aaron Ramsey has signed a bumper four-year pre-contract with Juventus, the Italian club confirmed on Tuesday. The hard-working Welshman’s contract runs out next summer and he will join the Serie A giant on a deal worth €7 million plus bonuses per year. 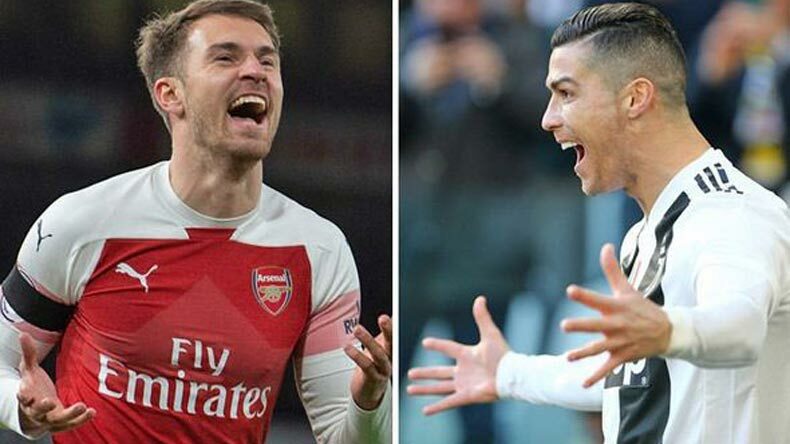 Juventus also announced that they will shell out €3.7 million to register Ramsey in the club which boasts the likes of Cristiano Ronaldo and Paulo Dybala. Even Aaron Ramsey took to his official Instagram account and wrote an emotional farewell letter to his Arsenal colleagues, staff and fans. He also iterated that he will continue to give his 100% to Arsenal’s current Premier League campaign before he officially joins Juventus in June. Arsenal released an official statement thanking the Welsh midfielder for his 11-year service to the North London outfit and wishing him all the best for his future endeavour. The 27-year-old has become the third Wales player to join Juventus after John Charles and Ian Rush. Aaron Ramsey joined Arsenal from Cardiff City in the summer of 2008 as a highly-rated midfielder for a fee amounting to £4.8 million. During his 11-year stint with the Gunners, he spent a year away on loan at Nottingham Forest (six months) and Cardiff City (six months) in 2010-11. He appeared in 357 matches for Arsenal in all competitions scoring 61 goals and several assists. In his 11 years at Emirates Stadium, he won three FA Cup titles.